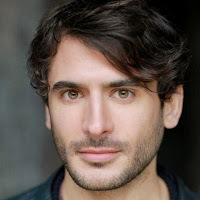 Marc Elliot (Syed Masood from BBC's EastEnders) has joined the cast of the musical Urinetown, which opens at St James Theatre on 11th March (previews from 22nd February) for a limited run to 3rd May 2014. He will be playing Mr McQueen, underhand assistant to tycoon Caldwell B Cladwell. Elliot's stage credits includes work with the RSC and The History Boys and The Lord of the Flies in the West End. More cast just announced includes Chris Bennett, Alasdair Buchan (The Pride), Karis Jack, Aaron Lee Lambert (Shrek), Jeff Nicholson, Adam Pearce (The Light Princess) and Charlotte Scott (Singin' in the Rain).